Following the coup attempt on the 15th of July 2016, dissident groups in Turkey are facing arguably their biggest crackdown in the country’s history. The Turkish government under the authoritarian leadership of Recep Tayyip Erdoğan has taken a wave of oppressive actions against those that are perceived as critics of the regime. been subjected to severe torture and mistreatments. -1,697 academics who worked in state-run medical schools and universities were summarily and abruptly dismissed with the government’s decree laws. -1,684 physicians who worked for the Ministry of Health were purged. -More than 1,200 doctors in the private sector suddenly became unemployed when the government shut down hospitals, medical centers and health clinics. -675 academics who teach medical sciences lost their jobs after the closure of the Gülen movement-linked universities. ● Jailed health care professionals: The government has never publicized the figures of how many health care professionals have been detained, arrested or currently in prison. However, SCF’s monitoring Turkey’s media outlets suggesting the estimated figure is in the thousands. -Mustafa Emmiler: A 47-year-old professor, who was detained on August 15 of 2016 on charges of alleged links to the Gülen movement. Dr. Emmiler is a prominent figure in cardiovascular surgery and the receiver of the “Doctor of the Year” award from the Ministry of Health in 2013. -Haluk Savaş: a prominent 51-year-old psychiatry professor at Gaziantep University, who was arrested on September 28 of 2016 on charges of “terrorism.” He was a nominee for a parliamentary seat from the main opposition, Republican People’s Party (CHP). -Murat Acar: the Harvard-educated Turkish professor who was extradited to Turkey on an arrest warrant issued by the Turkish government through Interpol even though he was under UN protection in Bahrain. 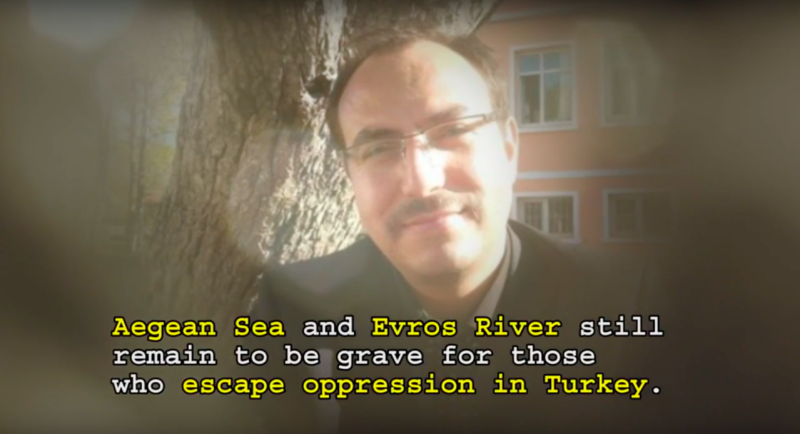 Dr. Acar was subjected to torture and ill-treatment for 18 days after his extradition to Turkey. -Sevgi Balcı: A 37-year old nurse who was a mother of three fired by government decree in October of 2016, committed suicide by hanging herself in Isparta province. It was reportedly due to not being reinstated to her job. -Ali Özer: a 48-year-old doctor who was jailed on charges of his suspected links to the Gülen movement, died allegedly due to heart attack in Çorum Prison on March 23 of 2017. ● Turkish health care professionals in exile: The rising authoritarianism in Turkey has enforced health care professionals to escape the country, sometimes even through illegal migrant routes. However, they still face endangerment in their new homes as they take on new challenges such as having a difficult time finding jobs and securing recognition of their medical licenses. Advocators of Erdogan harass individuals in which they receive threats from Turkish government proxies. Exiled doctors have reported that they are fearful of their families in Turkey who might face persecution because of their beliefs. -In 2016, the Turkish government has shut down 14 hospitals and 36 medical centers on the pretext of alleged ties to the Gülen movement. They were issued by simple decree-laws without any administrative or judicial probes. -On a similar pretext, 400 pharmacies across Turkey renounced access to the electronic prescription system of the Social Security Institution (SGK), an act meant to force these pharmacies to go bankrupt overnight. In addition to that, nearly 1500 pharmacies are under investigation as the media outlets in Turkey recently reported. -A UN High Commissioner for Refugees (UNHCR) partnered charity organization, Kimse Yok Mu has similarly been shut down in 2016. The charity organization had been active for many years and delivered emergency relief in disaster zones, provided health care services and helped rebuilding infrastructure in various communities across 113 countries. -Gökhan Açıkkollu: A 42-year-old history teacher with type 1 Diabetes was detained on July 24 of 2016 and held in police custody for 13 days before he fell ill. He was questioned allegedly under torture and abuse until he developed health problems again and was taken back to the hospital only to be pronounced dead. -Yavuz Bölek: A 49-year-old police officer, father of three was arrested on August 25 of 2016 despite being in a critical stage of colon cancer. Bölek continues to be kept in prison given his severe health circumstances backed by the medical reports. -Tuğba Yıldız: A mother of three was detained on January 15, 2017, in Tekirdağ province. During 24-day long police detention, she had been tortured and mistreated before she eventually developed symptoms of a psychological disorder to the extent of losing her sanity, as revealed by the doctor reports. And yet the court ruled for the arrest of Yıldız and sent her to prison, where she has been incarcerated ever since. -Nurhayat Yıldız: This 14-week-old-pregnant woman had been imprisoned with her alleged ties to the Gülen movement. After reviewing her medical reports, her plead to be released had been denied. She was kept in a crowded cell with 24 inmates where she suffered a miscarriage on October 6 of 2016. After receiving two days of hospital treatments, she was thrown back in jail. Yıldız’s situation portrays one of the many cases where inhuman treatments executed toward pregnant women who are forced to be in jail both during their pregnancy and immediately after giving birth. ● Medical students: Following the failed coup attempt, medical students have also been negatively impacted. Many students who are enrolled in the medical schools that have been shut down, were forced to partake in other universities across Turkey. There are cases where medical students have been subjected to persecution or even imprisonment of alleged ties to the Gülen movement. Details following such situations are provided within the report. This video is about people who were tortured in custody after the failed coup attempt on July 15, 2016. Even though there is not any solid evidence against these people showing their involvement in the coup, they were detained, put in the jail and more importantly, tortured. Gokhan Acikklolu is the first person and a teacher who died under custody in Istanbul Vatan Police Directorate became the symbols of the police torture after July 15. There are more than 15 witnesses stating that Gokhan Acikollu died due to torture under police interrogation. Two years after his tragic death, details of teacher Gokhan Acikkolu’s last days have emerged and come to public scrutiny once again as one of his prison cellmates offered a harrowing account into the torture claims. The Turkish public was stunned by revelations over police torture of Acikkolu in summer 2016. The Turkish authorities steadfastly refused torture claims then and stamped out an independent investigation into the tragic incident. In the official account, he died because of health problems presaging his prison days. But according to his family, and independent observers, Acikkolu was tortured to death. He was brutally beaten and deprived of medical treatment although he suffered a heart attack in prison. Prison administration turned down his family’s quest for transferring him to a hospital for a proper treatment and denied access to most needed medicines for his diabetes. When he was finally brought to a hospital in August 2016, it was too late to save him. More startling and disturbing was the fact that almost two years after his death, authorities cleared him of coup-related and terrorism charges and restored the now deceased teacher back to his post. It was too little and too late. How he died in prison still remains a matter of controversy and mystery. The way how the Turkish government handled the case fuels genuine skepticism and suspicion over the official narrative. Almost nobody believes it in Turkey. And with a former prison cellmate of the deceased teacher now publicly speaking about his last days, the issue has taken a new turn. Journalist Cevheri Guven, living in northern Greece after fleeing the persecution in Turkey, spoke to Bold Medya, divulging details about how police headquarters in Istanbul became the center of torture for people who were taken into custody in the post-coup crackdown. The Gokhan teacher appears to be the first victim of torture in this notorious place. Guven says that there are more than 15 witnesses who corroborate the claim that Acikkolu was tortured to death. A teacher, who spoke to Bold Media on condition of anonymity for fear of retribution back in Turkey, was staying in the next cell to Acikkolu’s room. He also suffered torture at the same place, Istanbul Police Department headquarters. There was a doctor in the witness’ room. He tells Bold Medya that one day there was a chaotic and urgent hurry on the part of policemen who back and forth moved from one place to another in a state of panic in the corridors. Panic pervaded the atmosphere, and police shouted at one another. At one point, the door of their cell was wide opened. Police fetched the doctor there and urged him to check the situation of Gokhan teacher next room. The doctor, the witness said, was trembling and his hands were shaking when he returned the room. Police moved Gokhan teacher out. “We lost the friend [Gokhan teacher],” the doctor told other prisoners in the cell. The account of the witness challenges the prosecutor’s official document about the cause of Acikkolu’s death. The teacher, the prosecutor wrote, died of his diabetes. But the doctor, who, upon the request of police officers, first intervened to help Acikkolu said he died of beating. He appeared to receive fatal blows to his head and died of torture, not diabetes. Cerebral hemorrhage or heart attack, the doctor said was the probable cause of Acikkolu’s death, the witness told in a new video interview. Acikkolu was among the tens of thousands of people who had been remanded immediately in the aftermath of a failed coup in 2016. He was a history teacher at a public school in Istanbul’s Umraniye district when he, along with his wife, were both dismissed in a sweeping purge campaign. His death was a particular case that stained public conscience as authorities denied a funeral service for his family. Istanbul Mayor’s Office refused to provide a space in a graveyard, so did the local officials in Acikkolu’s hometown, a village in the central province of Konya. Officials even proposed burying him in the “cemetery of traitors,” a policy briefly introduced as a form of punishment against coup plotters. Facing public criticism, the government later retracted the idea. The teacher was interrogated neither by a prosecutor nor by the police officials. During his detention, he only faced mistreatment and, according to his family, torture. When his situation deteriorated, he was taken to a hospital, only to be sent back to the police detention. Guven details how his wife, Mumine Acikkollu, struggled to deliver his medicines in the face of the official ban. After her first visit to custody to see her husband, she detected signs of torture and lodged a petition with the office of Istanbul Chief Public Prosecutor to investigate whether her husband faced torture. But her efforts yielded no tangible result in the chaotic atmosphere of the post-coup era. Their agony did not end with the teacher’s death. The inhumane treatment by authorities and denial of funeral service added to their plight. Two years after into his death, authorities still refuse to launch an investigation into the role of police officers over his death. But as more and more people speak out and more witnesses come out to offer their sides of the story, it becomes ever difficult for authorities to bury the truth and drag their foot for a thorough probe. Acikkollu might have been the first victim, but certainly was not the last one. As long as his case remains unresolved, police officers and officials, who commit crimes against humanity and involve in torture, would acquire the feeling that they may get away with whatever they do. They should not have such an impunity and freedom. If Acikkollu’s torturers are brought to justice, other officials would be deterred and further such incidents would be prevented. The Turkish government’s oppressive regime relentlessly continues despite all the efforts by the international community. Since 2013, the government has been targeting anti-government groups, mainly the Hizmet Movement, and the situation got worse after the so-called coup attempt in July 15, 2016. The government has no mercy in that even members of vulnerable groups such as women and children are jailed over baseless claims. This document briefly describes the current women’s rights issues in Turkey aiming to provide an overview of the current crisis. Especially after the attempted coup, the government has been taking dissidents collectively into custody, and then sending them to jail with no solid proof. In some cases, women are arrested and tortured in place of their male family members such as their fathers or husbands. Because of their special needs, women constitute one of the groups that suffer the most from this oppression. Prison overcrowding is another serious problem. Inmates often sleep on the floor or by taking turns. Therefore, it is difficult to claim that prison conditions are suitable for women. Turkey has only a few prisons specifically designed for women, meaning that most female detainees stay in prisons built for men. According to the latest CEDAW report, there are many allegations of sexual harassment and violence amounting to torture and ill treatment in prisons and these claims are not investigated properly. Women in prisons face various types of harassment, for instance, in many prisons, unnecessary and excessively intrusive strip searches are conducted by male personnel, and security cameras placed in rooms–including those in bathrooms–are monitored by male guardians. Detainees have only limited access to personal care and hygiene products, which are often at risk of confiscation during ward searches. Female detainees are trying to make themselves heard by sending out letters, however, these letters do not appear in Turkish press as a result of censorship. Incarceration during pregnancy or shortly after giving birth is another issue that needs immediate attention. There are many instances where security officials wait at the door of hospital rooms once they are notified of the patients’ registration to the hospital. Patients’ medical conditions are not monitored and they are deprived of essential medication and dietary supplements. Mothers are not allowed to nurse their babies during custody and once they are arrested, their infant babies are also sent to jail. Currently, there are more than 700 children under the age of 6 (including infants) living in prisons. Violence against women is still an issue despite Turkey’s supposed commitment to end it. As the CEDAW report indicates, relevant laws do not criminalize domestic violence and propose no procedures to prosecute offenders. Because of insufficient protection, many women have either been murdered or sexually harassed and perpetrators are not afraid of prosecution. Honor killings continue to be committed as well, even within well-educated families. More than 100 women have been victims of honor killings since 2010. Education is another serious problem of Turkish women. The rate of literacy is quite low compared to men (illiteracy is more than five times more prevalent in women than in men), because most families, especially in the east and south-east, do not allow their girls to go to school, but instead force them to marry under the age of 18. For university-educated women, on the other hand, the main problem is the alarming levels of gender inequality at work. Turkey ranks 131st among 144 countries in terms of gender equality. We briefly touched upon a few of the problems faced by women in Turkey. Many human rights reports have extensively explored the aforementioned problems and others. As the Advocates of Silenced Turkey, we urge every individual and authority to be aware of the worrisome situation of women in Turkey and take necessary steps urgently. Is Turkey Turning into a Mafia State? Evidence from Sudan, Kazakhstan, Pakistan, Georgia, Myanmar, Malaysia, Kosovo, Azerbaijan, Ukraine, and Mongolia Day by day, Erdogan and his oppressive government are extending their long arms to different countries around the world via the government institutions, intelligence agencies, and affiliated NGOs to expand their witch hunt against the Gulen Movement (aka Hizmet, which means Service in English)-affiliated people. Among their unlawful activities away from Turkey are intensified spying, intelligence gathering and profiling of critics that at times has led to harassment, intimidation and hate crimes. 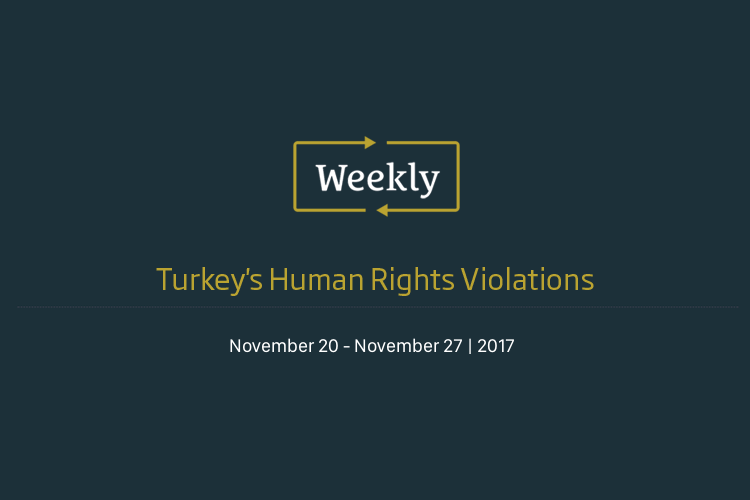 Although a majority of the countries do not pay attention to the unlawful requests of this oppressive leadership, there are some developing countries feel obligated to cooperate with Turkish agencies as they violate significant human rights, fundamental freedoms, and customary international laws. To name a few, some officers within Sudan, Kazakhstan, Pakistan, Georgia, Myanmar, Malaysia, Kosovo, Azerbaijan, and Ukraine did not hesitate to operate the abductions and deportations of Gulen Movement-affiliated teachers, businessmen, journalists, academicians, and doctors, as well as their family members in some cases. These countries not only violated the UNHCR protection but also international human rights laws and customary international laws. The details of these unlawful abductions and deportations were revealed in a brief report recently released by the Advocates of Silenced Turkey (AST). According to the Human Rights Watch, US Report of Religious Freedom, Amnesty International and several international human rights agencies, alleged supporters of the Gulen Movement in Turkey have been subjected to property seizures, arrests, detainments, imprisonments, as well as tortures such as use of stress positions, denial of food and water, detention in unsanitary conditions, in addition to beatings and rapes. Gulen Movement is a global volunteer movement that focuses on science education, volunteerism, community involvement, social work and interfaith and intercultural dialogue. Graham Fuller, an expert of the region and vice chair of CIA Intelligence Council, wrote an expert opinion just after the coup attempt entitled “The Gulen Movement Is Not a Cult – It’s One of the Most Encouraging Faces of Islam Today”. The President of Turkey, Erdogan, falsely accused the movement of masterminding the coup d’état attempt on July 15th, 2016 and declared the movement as an armed terrorist organization, so-called Fetullahist Terrorist Organization – FETO. Following the staged coup attempt, a significant purge was initiated by the Turkish government and more than 170.000 people were persecuted without any concrete evidence. However, Erdogan was not satisfied with purging the supporters of Gulen movement in Turkey and expanded its witch hunt against critics to numerous countries in the world with unlawful ways such as bribery, threats, and economic oppressions. Turkish embassies and government agencies including the intelligence services and nongovernmental organizations affiliated with the Islamist-rooted Justice and Development Party (AKP) government have been involved in the profiling and harassment of the movement’s members in varying degree, scope and intensity. This persecution abroad is personally approved by Turkish President Recep Tayyip Erdogan, who stated that no country in the world will be safe for members of the Gulen Movement, claimed they do not have the right to life and vowed to pursue them wherever they are. His propagandists have even suggested assassinating and abducting critics abroad and have put a bounty on their heads. 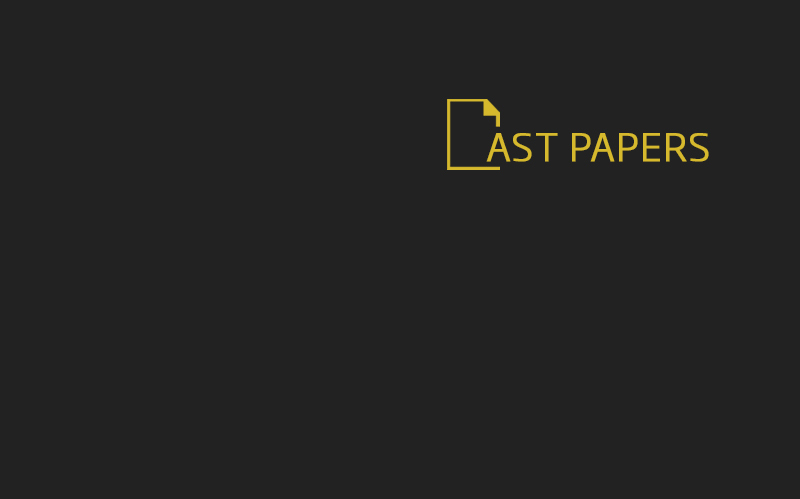 The report of AST not only covers the unlawful abductions and deportations but also remind foreign security officers the risks Gulen Movement-affiliated people may face, offer recommendations and point out important points that countries should pay attention to resist possible attempts of the Turkish Government. They request that governments take necessary legal, administrative and practical measures are to ensure the protection of individuals who might be at risk and subject to possible abduction, enforced disappearance, and extrajudicial killings. They make a call on to take counter-measures including legal and other steps to prevent such blatant interference by the Turkish government in their country’s internal affairs and to protect their residents and asylum-seekers from the long arm of Erdogan. Turkey, after the failed coup attempt has been a tumultuous ground for human rights. Many subtopics of human rights violations were brought into the spotlight especially after the declaration of the state of emergency. Perhaps some of the most important derivatives of such violations are torture and maltreatment. Although a state of emergency can help condense and concentrate efforts to bring perpetrators into justice it does not grant the government a blank check to suspend human rights. Even though a delicate matter like suspect and prisoner rights can never be dispensable, Turkey is currently infamous for infringing plenty of them from a global standpoint. Since the coup attempt in 2016 a hefty sum of 160,00 people were detained 152,000 of which were state officials varying from teachers to lawyers. According to the government’s statement a majority of these detainees were associated with the Gulen movement. Since 2016 an overwhelming 7,907 cases of human rights violations occurred among these were 2,278 victims of torture and within that number 423 of them occurred under police detention. Methods of torture included but were not limited to thumps, electrical chairs, and sexual assault threats (particularly women). In addition, 48 extralegal killings were reported which were deemed tolerable under “troubling” provisions vaguely stated in emergency decree 667. Besides the aforementioned brutishness, safeguards available to any prisoner were denied by the detainers. Among those violated safeguards were reasonable detention and legal review arrangements, access to medical reports, right to choose a lawyer, and last but not least monitoring the places of detention. Considering the absence of these safeguards combined with the turmoil within cells detainees came to be more vulnerable to mental and physical abuse. Numerous examples of each different method of torture can be exemplified, whether that is a teacher beaten to death and his autopsy altered (teacher Acikkolu), or a woman tortured remorselessly in front of her husband (Asli S.). The defiling of basic detainee rights is not only tarnishing Turkey’s reputation in the world stage yet it is also obliviously and gradually driving the Turkish government to a dead end. 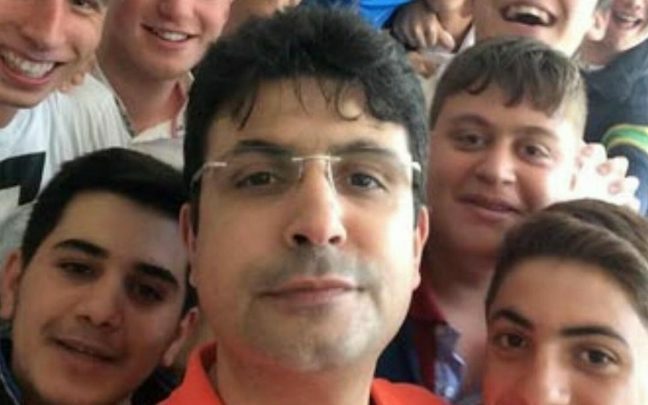 A new report from the Stockholm Center for Freedom (SCF) titled “Tortured to Death” exposes the case of 42-year-old history teacher Gökhan Açıkkollu, who died after enduring 13 days of torture and abuse in police detention in İstanbul. The report details every day he was kept in custody, where he was repeatedly beaten by his interrogators. The government documents, medical reports, independent opinions and witness statements obtained by SCF and revealed in the report show his death was not due to natural causes. “The details of this single case with hitherto unknown facts about Açıkkollu’s death have really shaken our investigators, and we have decided to dedicate this report to his memory to show the world what is taking place under President Recep Tayyip Erdoğan’s brutally oppressive regime,” Abdullah Bozkurt, the president of SCF, said. “He was telling doctors every day what he was going through, and the prosecutor’s office was getting copies of these records on a daily basis. Yet he was time and again sent back to detention to face a new round of torture that eventually claimed his life,”’ he added. The report also exposes the names of the police officers who were present in the building at the time of Açıkkollu’s death and urges the Turkish government to hold to account those who were responsible for his death. 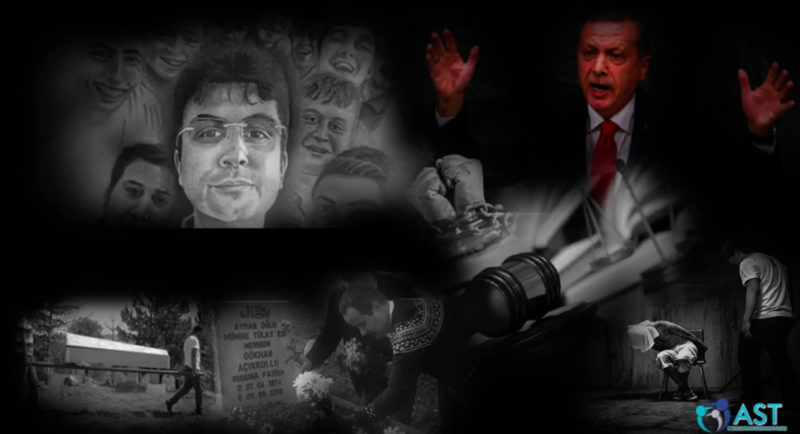 Unfortunately, the terrible saga of Açıkkollu’s family was far from over even after his death as authorities neither arranged for a hearse to transport him nor provided embalming of the body, which are standard services in Turkey for all deceased. He was hauled in a utility vehicle to the cemetery where the government imam refused to lead a prayer service. His wife, Mümüne Açıkkollu, was also briefly detained afterwards by the same prosecutor who ordered the detention of her husband. The public prosecutor dropped the probe into torture allegations although he had more than enough evidence of torture according to the documents provided by government-designated health facilities. Several witnesses came forward and testified to torture. After a long legal challenge, the prosecutor had to open another probe, but there was no progress reported on the second probe, either. Turkish authorities continue to deny that there is torture in Turkey while blocking the publication of a report by the Council of Europe Anti-Torture Committee (CPT), which visited Turkey for a fact-finding mission in September 2016. The accumulation of overwhelming evidence in this case is quite valuable considering that the police in Turkey often try to cover up the commission of crimes. Authorities tamper with evidence and doctors’ records and ensure that the text of witness accounts, autopsies and medical reports reflect the official version of the detainee’s death. Deaths in detention and prisons due to torture, abuse and ill treatment have become a recurring theme in Turkey with close to 100 cases reported as suspicious deaths and suicides in the last 16 months alone. Many human rights monitoring groups have documented cases of torture and ill treatment of detainees that suggest a widespread, systematic and deliberate torture by the government of President Erdoğan. SCF has already published several reports confirming that such cases have been taking place in detention centers and jails or sometimes in black sites that were used as mass holding facilities for a large number of detainees without due process. Credible evidence that the Turkish police are holding detainees, denying them food, water and medical treatment. In some of the worse cases, individuals have been subjected to severe beating and torture.